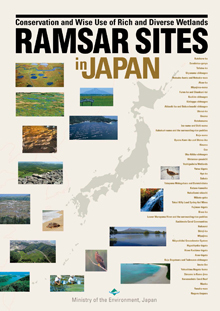 When Japan became a contracting party to the Ramsar Convention in 1980, Kushiro-shitsugen became Japan's first Ramsar site. 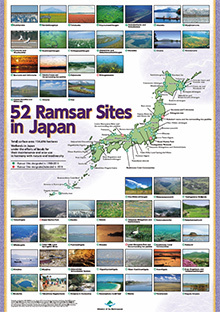 In 1993, Kushiro City hosted the Fifth Meeting of the Conference of the Contracting Parties (COP5) to the Ramsar Convention, greatly raising awareness of the objectives of the Ramsar Convention in Japan and the rest of Asia. Japan has promoted additional designation of wetlands on the occasion of each COP. Two sites, Shizugawa-wan in Miyagi Prefecture and Kasai Marine Park in Tokyo, were designated as new Ramsar sites at COP 13 held in the United Arab Emirates (UAE) in October 2018, counting 52 sites in Japan in total. 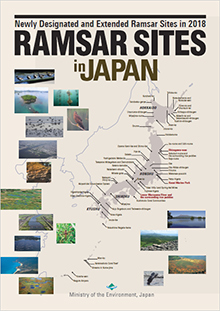 Ramsar sites in Japan include various types of wetlands such as marshlands, lakes, rice paddies, seagrass/seaweed beds, tidal flats, mangrove forests, coral reefs and groundwater systems, reflecting the diversity of Japan's wetland ecosystem. Most Ramsar sites function as important habitats for waterbirds. The Ramsar Convention sets the criteria for identifying wetlands of international importance by the Annex II to the Resolution VIII.13 and others. When selecting candidate wetlands for Ramsar sites, Japan sees the following as prerequisites. To gain consent and support of the local governments and other stakeholders.